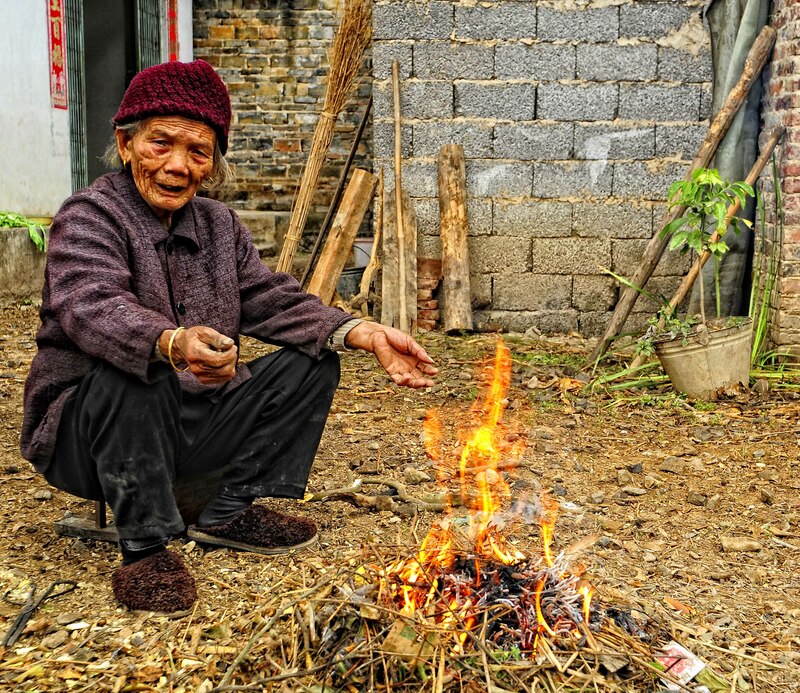 This image was taken in a remote fishing village on the Li River near Yang Shou, China.The old lady had built herself a small fire and was quite happy sitting on her small stool in the garden of her home and watching the younger villagers go by. What a GREAT photo! I love that face!! Well done and thank you for sharing! Great image and oh that weathered face! Reblogged this on Tricia West Blog.